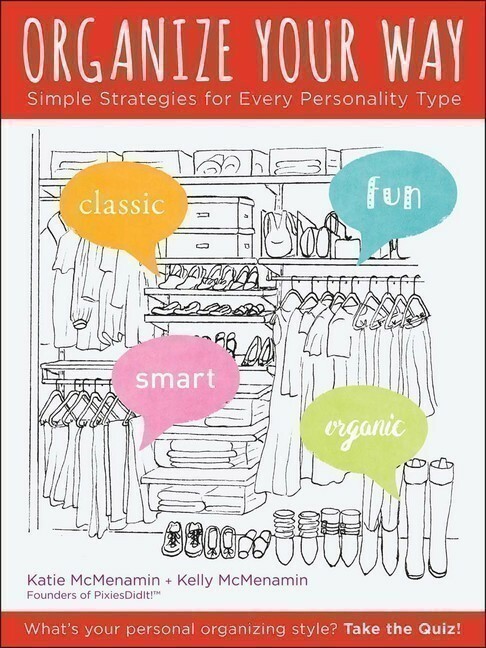 The authors of Organize Your Way: Simple Strategies for Every Personality teach us how to show off our spines. The two of us have spent a lifetime surrounded by books. There are literally books in EVERY room of our parents’ house—from a large paperback collection in the basement (!) to our childhood books in the attic to others even in the dining room. We’ve also spent 10 years curating all manner of libraries owned by various Pixie organizing types and we haven’t seen a library yet that we haven’t improved with a little Pixie Magic. First, only keep books that either have meaning, are actively read, produce happiness, or frankly look good on display. Then play around with them using some of our great Pixie tips. Once you take these steps, your books will become both objets d’arts and utilitarian fountains of knowledge. Ah, but how to actually implement this magic…? Along the way, we noticed that big-picture, visual organizing types like Smart and Organic Pixies tend to have larger libraries than the detail-oriented, hide-it-away organizing types like Classic and Fun Pixies. But we also learned that when pruning book collections, no matter how large, it’s more important to know what motivated the creation of your library, than the size of it. Once you know what’s keeping you from letting go, it’s much easier to get rid of the books that aren’t really serving you. Logical types—Smarts, Classic Structures, and Fun Structures—tend to keep books because they’re manifestations of their achievements. So when pruning, you guys need to make sure each book still mirrors what you want to project to the world. If this only purges one or two books, then focus on paperbacks. They’re meant to be recycled unless they’re out of print or still used. They’re literally disintegrating on your shelf as you read this. If our incredibly stubborn, Smart Structure, bibliophile father can start to consider donating his basement paperback library, then it’s time for you as well. If the paperback pathway fails, hire an organizer to make you justify the logic of holding on to paperbacks you can get online or didn’t even like when you read them. Donate hardcovers you don’t care about anymore or sell that textbook you’ve never referenced in 20 years. Let that poor neglected book be loved by someone, man! Sentimental types—Organics, Classic Freedoms and Fun Freedoms—tend to keep books as reminders of the past, like old friends. Let’s face it, it’s hard to dump friends! Keep the golden ones (you know who they are) and get rid of the riff-raff. We assure you that tossing a book is much easier than dumping an actual friend. If this method fails, invite your most judgmental Classic or Smart friend over to make you justify every sentimental item in your library. Items you can’t let go of, even after being friend-shamed, should go in a “Later Box” in deep storage for 3, 6, or 12 months. Then without looking inside, keep whatever you miss from the box and donate the rest. C’mon, you forgot they even existed!! Now, it’s time to make your library look good. Always think big when it comes to book storage. We have two Organic Structure/Smart Structure clients who had floor-to-ceiling bookshelves in every room. Sure, they needed to prune their books, but their use of all the vertical space in their homes to properly store their precious books was exemplary. Books multiply like bunnies even after you’ve channeled your inner “Marie Kondo” Pixie and made sure every book surrounding you evokes joy. 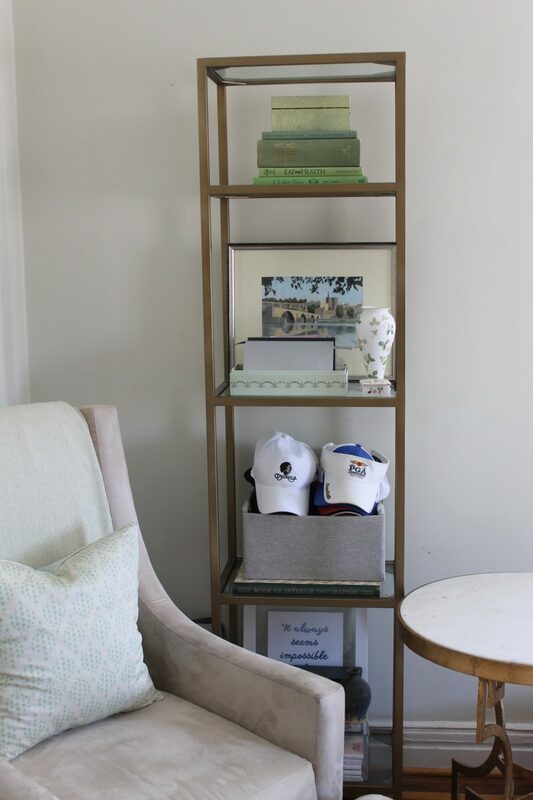 While it’s much easier to style a half empty bookcase, it’s not impossible to make one that’s bursting look a lot better. It’s a matter of putting like with like, a few pops of contrast here and there to break up the long line of books and matching frames for your photos to lend cohesion to a varied collection. The only idea you need to let go of is alphabetizing unless, of course, your book collection rivals your local library and you utilize your books on a regular basis. In which case, ask your local librarian for advice! If you’re like most folks, though, Pixie advice should suffice. 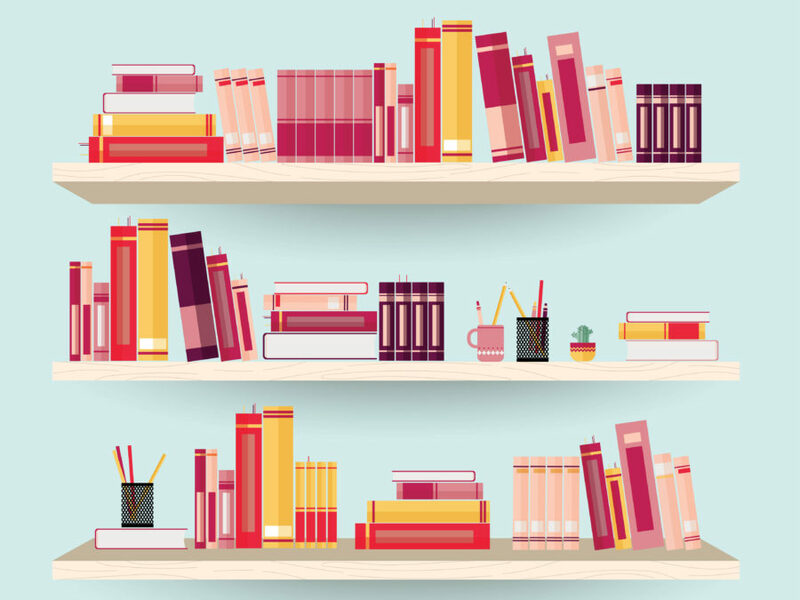 Organize your books by subject—yes, we know how important this is to bibliophiles no matter what your type—but then within the subject, organize the books by size and if you can, color. Those that don’t care about subject—often Funs—just do it by size & color. It looks even better if you can separate your hardcovers from the softcovers, but it’s not necessary. And if you don’t need to retrieve your books at all, then let go of the dust jackets and organize by color. It’s fun and freeing and in the process, you might realize you can let go of even more. We know this will be impossible for many of you and that’s okay. We also know you’ve probably ignored us already and that’s cool too. Now, break up the long lines of vertically stacked books with a horizontal stack here and there and/or a few photo frames or actual objets d’art. Depending on your aesthetics, you can get away with putting a photo or tchotchke on top of a small pile of horizontally stacked books. Your guests will be impressed the next time they see this artful display of books interspersed with your choicest tchotchkes and photographs. Funs are adventurous and well-described as artisans. 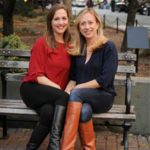 They are creative problem-solvers and occasional rule-breakers, yet also practical. Why this is a Fun: When Funs get going they can really purge, so their bookshelves are filled with the things they will really use most often. 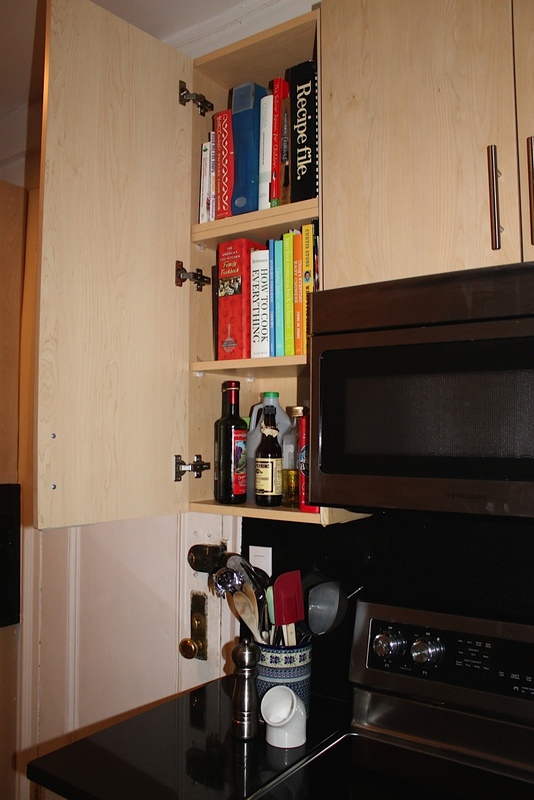 In the case of this culinary fun, they have a major use for cookbooks (Funs are amazing cooks!). It’s also practical because it’s right in the place they use it the most: the kitchen, for easy use and prep! Classics are traditional and basically invented traditional organizing. They like things hidden, orderly and decluttered. Why this is a Classic: This bookshelf is a dead giveaway for a Classic because there aren’t many books on it! Classics purge often, and when they do keep books they would keep them in boxes hidden away. The bookshelf is reserved for only the most important books. Classics will have objets d’art on their bookshelf, but it is more important that they add to the traditional aesthetic than have meaning to the Classic. Finally, you’ll notice everything is very conventional—Classics don’t often rock the boat in the decor world. Smarts are inventive and clever. They are the strategic thinkers of the world. 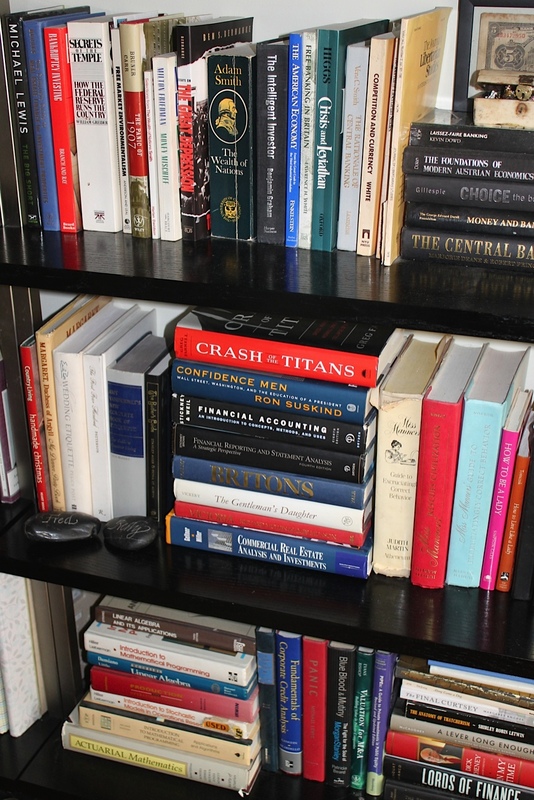 Why this is a Smart: If you look closely, you’ll see that this bookshelf is filled with financial books. This Smart has an interest in finance so the books are for work and play! True to form, the bookshelf is overflowing because this Smart didn’t want to part with a single book during the purge phase. That’s why we suggested a paperback purge for this Smart—It’s the only way we could get each shelf down to almost only ONE row of books! Organics are idealistic and creative. They place personal growth and relationships above all else. Why this is an Organic: These aesthetically pleasing shelves are filled with items this Organic kept for their child because of the stories behind them—gifts received and beloved books. And photos!! Always photos. Organics like to be surrounded by their “peeps”. 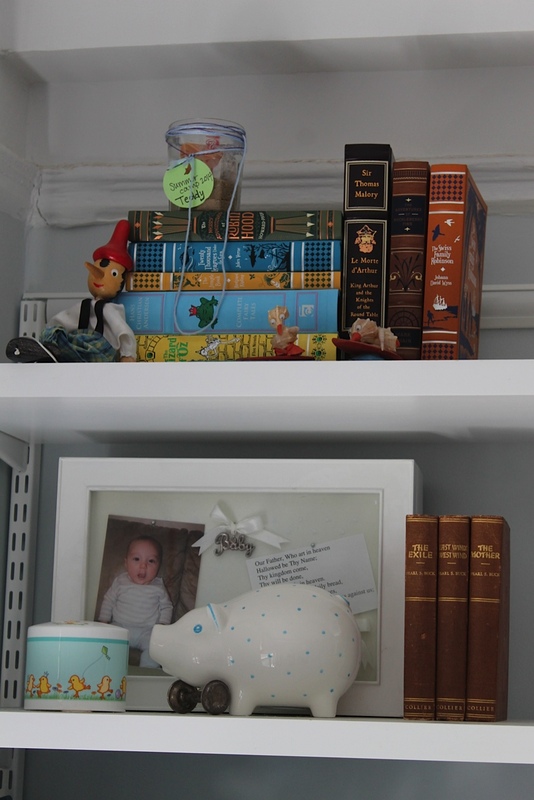 These are not so much tchotchkes as they are visual reminders of who she—and her child—is. Featured image: Atstock Productions/Shutterstock.com; Shelf photos courtesy of the authors.